Hey everyone! We're closing in on February, and you know what that means, right? If this is all still a bit new to you, screenwriting contests can be a phenomenal way for me to get my foot in Hollywood’s proverbial door. Winning—even just placing—in the right contest can get me noticed by agents, producers, and directors. They’re not all that powerful, no, but it’s not hard to figure out which ones are. Now, with all that being said... Here’s why I’m not going to offer any screenwriting advice this year. Or for the foreseeable future. Actually, first let me talk about pagers. As some of you know, I worked on set in the film industry for about fifteen years, starting back in the early ’90s. 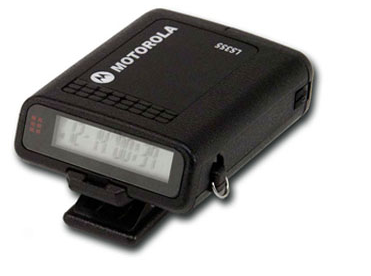 And back then, if you wanted to keep working, you had to have a pager. Pagers were vital. You couldn’t have much of a career without one, because when someone was crewing up they didn't want to wait, and jobs tended to be first-come, first-serve..
And honestly, how stupid would I look if I showed up to a film set these days—to any job—wearing a pager? Oh, sure, it still does what it’s supposed to, still lets people get in touch with me (assuming I live somewhere where that network’s still active) but would anyone take me seriously? I’m using technology from twenty years ago—and expecting other people to use it, too. Heck, how many people here even still remember how to use pagers? From either end? I’m not sure I do. Maybe it would pop back if I was in that position but... well, I don’t want to bet on it. See, the need to get a job didn’t change. The need to communicate didn’t change. But how we do it changed. A new industry standard developed. 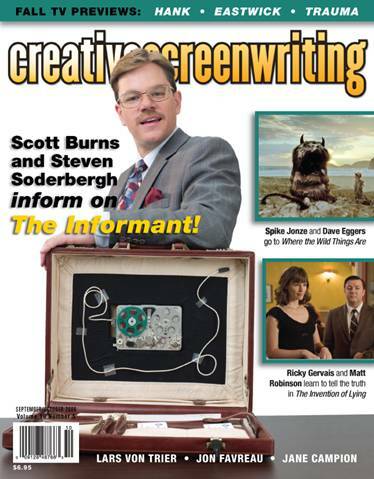 Which brings us back to screenwriting. Screenwriting is kind of a two-part art. One part is the storytelling aspect of it. That’s a lot of the same stuff we talk about here all the time. Good characters. Good dialogue. Clever structure. Exciting action. Neat twists. The other part is format. This is the delivery mechanism that gets my screenplay in front of contest readers, agents, producers, and hopefully actors and directors. Format is seriously important in screenwriting. I’d say maybe 30-35% of my final score. Y’see, Timmy, if I’m not using the current, up to date format, my screenplay immediately looks dated and wrong. That first part, my actual story, may work phenomenally well, but if every reader’s going into it thinking “Wow, what is this, twenty years old...?” that’s a big strike against me right up front. And even just that slight bias can mean the difference between acceptance or... well, ending up in the big pile on the left. In the past I’ve offered a lot of tips on basic script formatting. And while a lot of those may still be good, I honestly just don’t know which ones those are. Assuming any of them are. At this point, I haven’t really done any work with scripts in about ten years. I stopped working on sets in 2006. 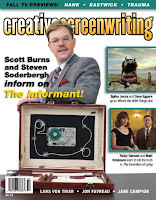 Stopped writing about screenwriting in 2010. My last screenwriting-related job was five years ago, and even that was a pitch/synopsis that didn’t involve writing an actual script. I know enough to say my experience is pretty much out of date. Maybe not entirely, but mostly. If I want to be writing screenplays, I need to be looking at new ones to learn the current accepted format. Not the classics. Not my childhood favorites. They may teach me some storytelling stuff, but if I want to learn formatting... well, I really shouldn’t be looking at anything from before Barack Obama was President. Doesn’t matter how many Oscars it won, doesn’t matter how much my professor praised it back in film school—I cannot learn formatting from old scripts. Because I don’t want to be the person showing off my new pager. Okay, look. Here’s one tip, just so we can end a bit more positive. You know what other season this is? Oscar season. A lot of the studios are releasing the scripts for their “Best Screenplay” hopefuls. Not all of them, but a couple of them. That means those new, very current scripts can be picked up easily and legally (no piracy!) for perusal. Hit Google and see what you can find. I bet The Arrival’s out there. Maybe Deadpool, too. Next time, I have a few Capital Ideas to share. Just making sure your Readers know (as you do) that many of those Available Scripts are "Shooting Scripts." Not only can Quentin and M. Night display idiosyncrasies in their "don't have to get past a Gatekeeper" scripts, but Shooting Scripts are for the physical filmmakers. They will contain "we see" and bottom-of-page "Cont'd" and Scene Numbers and other variations that a Spec Script (one's entry into contests and for Cold Queries) will and should not. Your column showed up in Shadowland today posted by someone else. Coolio. I told them where to find you of-a-monthly-Sunday. Process Server? No, I don't think so. Why do you ask? I've mentioned scene numbers before in past rants (which there are still links to in the post). It's one of the few things that isn't going to change because they're a production tool, not a writing one. Same with CONT. As for "we see"... well, sorry, but that's wrong. "We see" and devices like it are completely acceptable in spec scripts. I've seen it dozens of times in scripts that have placed and won in contests. I've used it myself in scripts that have placed and won in contests. And gotten me into producers offices. That's how Shane Black broke in. Saying it isn't is one of those weird myths that gets passed around screenwriting boards with nothing to back it up. It can be overused, like any device, but in no way is it wrong.